A powerful documentary capturing the last days and final creative act of a young artist. 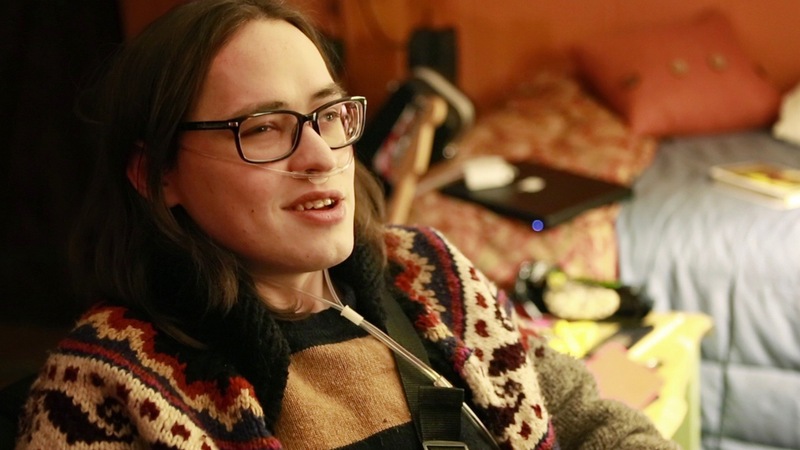 Born with cystic fibrosis, 28-year-old Ethan Rice has been preparing to die his entire life. His father Ed, a Vietnam veteran with PTSD, immersed him in a world of imagination and documented it on camera, a hobby that provided relief from the fear of his son's prognosis and his own painful past. Equal parts comedy and darkness, "Exit Music" is the last year, last breath, and final creative act of Ethan as he awaits the inevitable. Interweaving home movies with Ethan’s original music and animation, his story is an unflinching meditation on mortality and invites the viewer to experience Ethan’s transition from reality to memory. In a culture that often looks away from death, this film demystifies the dying process, a universal cornerstone of the human experience. Samuel R. Saffery is a New Zealand indie folk musician who currently resides in Brooklyn, New York. His music comes from a place of honest learning, emotional growth and healing. He has a distinctive, melodic voice, which is as haunting as it is sweet. Saffery has performed extensively in the US and in Europe with indie folk act Bird Courage and this year has released his first solo EP, Belong. The EP explores themes of identity, the subconscious world, human beings’ sense of place and their daily connections with others. No refunds. In the event of rain show will be rescheduled. No outside alcohol is permitted.